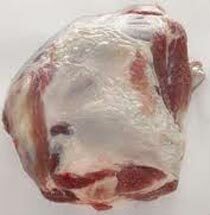 We are the respected Frozen Lamb Meat Exporter and Supplier based in Thailand. Our Frozen Lamb Meat is prepared by obtaining the meat of disease free lamb. Our Frozen Lamb Meat is hygienically processed and properly cleaned before the freezing process. Furthermore, Frozen Lamb Meat is stored at ambient temperature in order to avoid the growth of microorganisms. With the simple process of thawing, our Frozen Lamb Meat can be easily used.